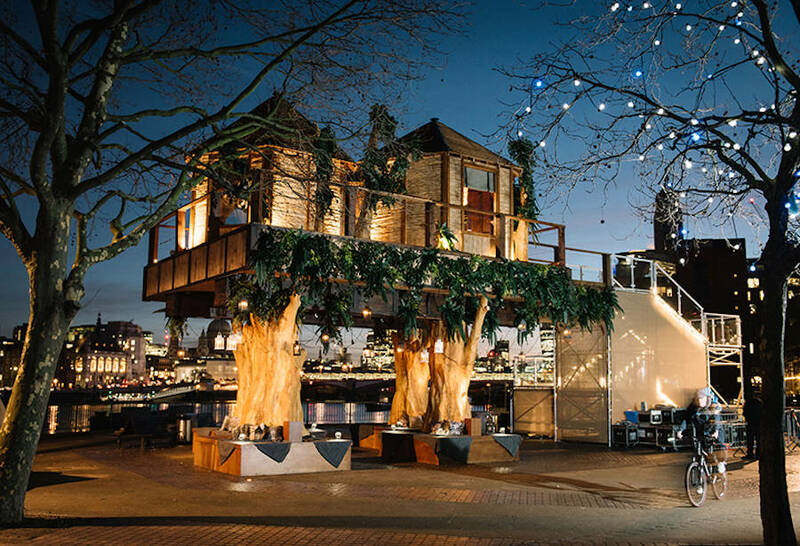 The Virgin Holidays company has created on the London’s SouthBank, a very nice South African treehouse, built 35-foot above ground level. 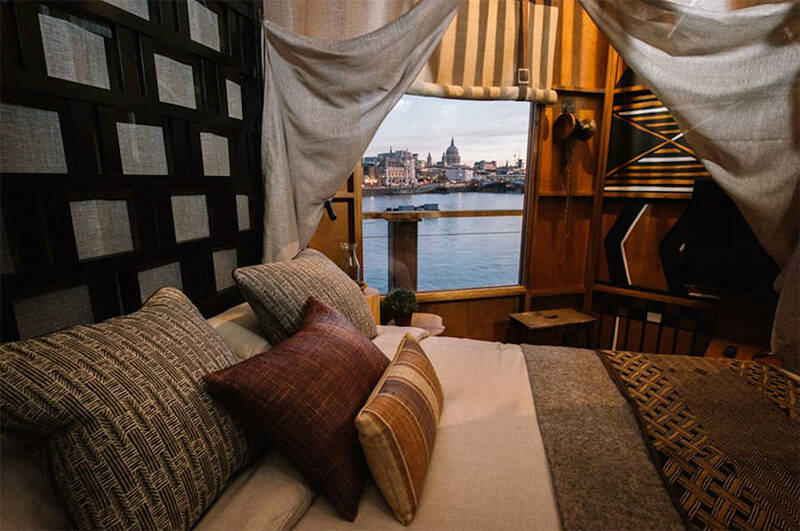 The tour operator offers to competition’s winners a night of urban retreat. Inspired by design of the Lion Sands Game Reserve, the luxurious house is carried by huge trunks and is supported by a greenery-clad plinth. 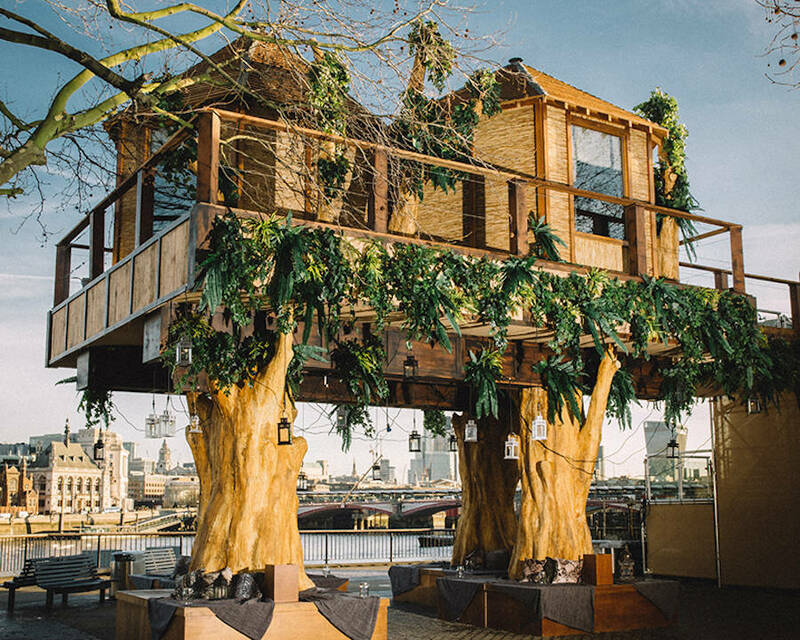 Two elevated huts, made by natural materials are inspired by authentic housing of the African plains. 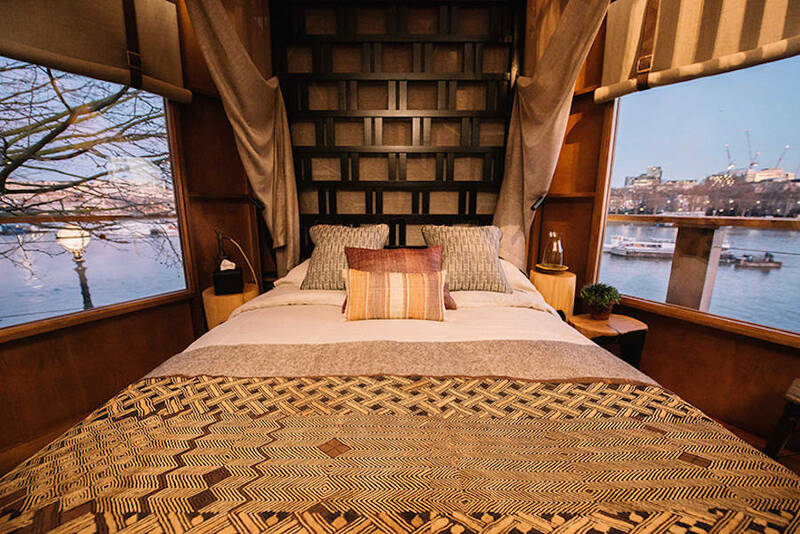 Two rooms designed by Hubert Zandberg have a selection of tribal prints and some rare pieces of african sculpture. For all childhood’s nostalgic and adventure’s lovers.